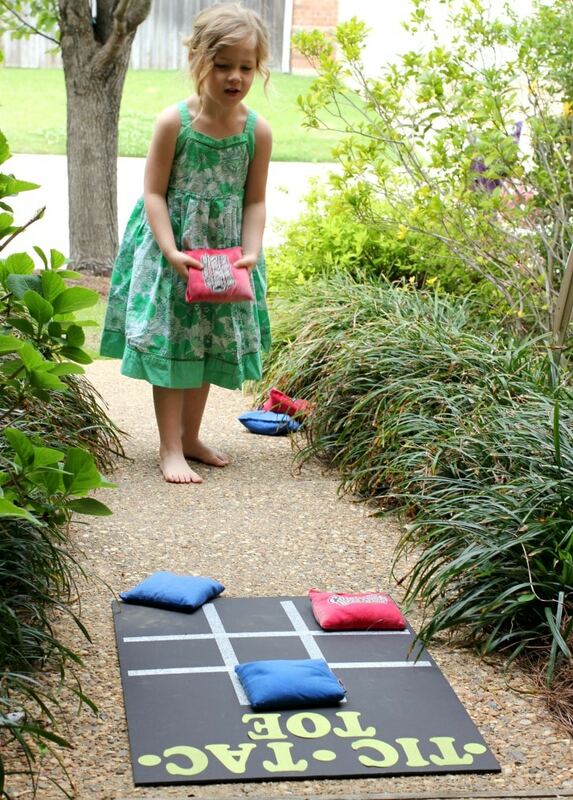 Are you ready to make your own Tic Tac Toe Backyard Bean Bag Toss? Well I have an awesome outdoor tic tac toe game I am going to share with you today. 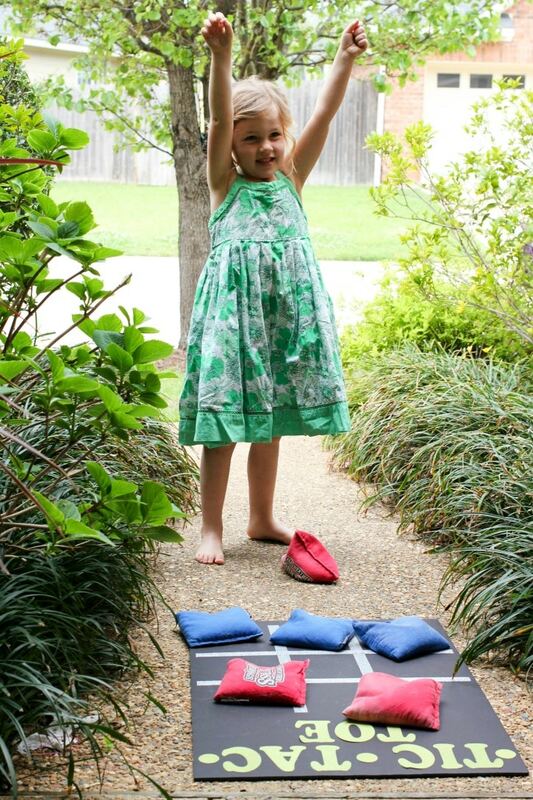 This simple Tic Tac Toe Backyard Bean Bag Toss game is so easy to make! In fact, it only takes a few items on hand to create this simple backyard game. I also love that it’s light weight and can be moved indoors if needed. Raise your hand if you love to play Tic Tac Toe? It never fails, every time my family and I go to a restaurant, the kids and I always have a tic tac toe game going until the food arrives. Is that your family, too? I love this one because it is a little more challenging, and everyone really loves to be a part of the game. You can find the complete instructions on how to make this Tic Tac Toe Barnyard Bean Bag Toss game over on the Crafting Chicks, where I am sharing this as a guest post today. Head over and check it out! If you love a good Tic Tac Toe game and want to take it to the next level, make this super cute and easy craft and watch as the whole family enjoys hours of fun. 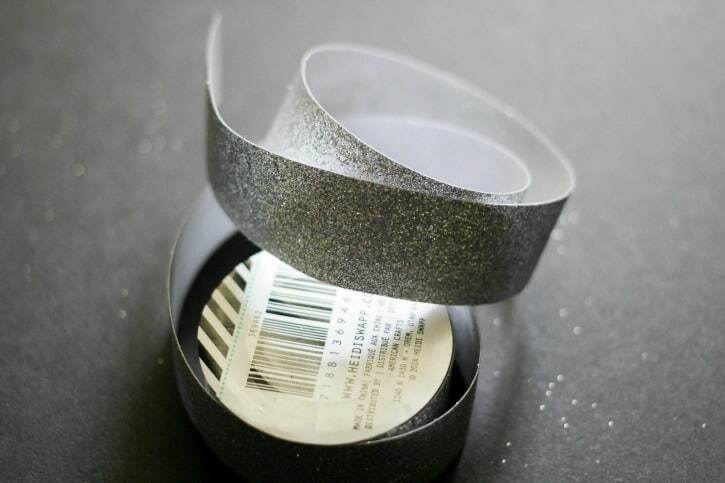 Make sure you head over to the Crafting Chicks for the complete tutorial.